What are the first few things that every doctor checks almost religiously? S/he puts the stethoscope on our chest to check if our heart rate is fine, then proceeds to check our tongue, nails, eyes, and other parameters relevant to the ailment we could be facing at that point in time. Just as a healthy heart rate, nails, and eyes are signs of good health, the tongue too can be easily dubbed as the window through which we can peep into the happenings inside our body. According to experts, the tongue is a very reliable indicator of the health of one’s digestive system as well as liver. For example, if you have binged too much on food and alcohol, you are quite likely to find your tongue coated with a brown, yellow or white layer. A coated tongue is a sign of a malfunctioning liver and/or poor digestion (1). One must clean their tongue regularly to stay away from gum diseases, teeth problems and foul breath. In that spirit, here are 10 ways to get rid of that whiteness on the tongue in order to make it healthier! You must be thinking that I am joking, right? I know garlic is known to be the reason behind foul breath. But, it’s time we leave those age-old mindsets behind and accept the fact that eating raw garlic can be a great way to kill the bad bacteria. It also helps in cleaning the tongue. 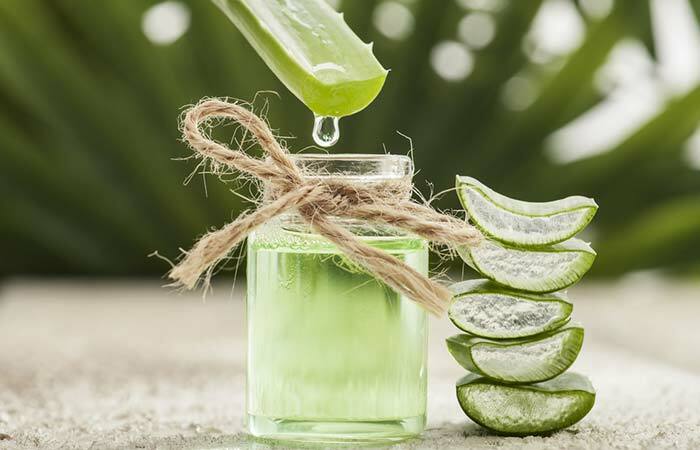 Aloe vera is packed with anti-inflammatory and soothing properties. Simply extract a tablespoon of juice from the Aloe vera stem, put it in your mouth, and swish it for a while. This exercise will kill the germs in the gums and on the tongue. Make sure you rinse your mouth with a glass of warm water and repeat this routine for a handful of times in a day. Salt is one of the best things to use for cleaning one’s tongue. The granular salt texture can easily remove waste and dead cells settled on the tongue. It is best to rub some salt on the tongue and brush it off using a toothbrush. After this one must rinse with water and this routine must be repeated at least twice in a day. Turmeric is much more than a spice! It is loaded with antiseptic properties (2). For best results squeeze about half a lemon into a teaspoon full of turmeric and make a paste. Rub this paste gently on your tongue for about 2-3 minutes and then rinse it well with warm water. 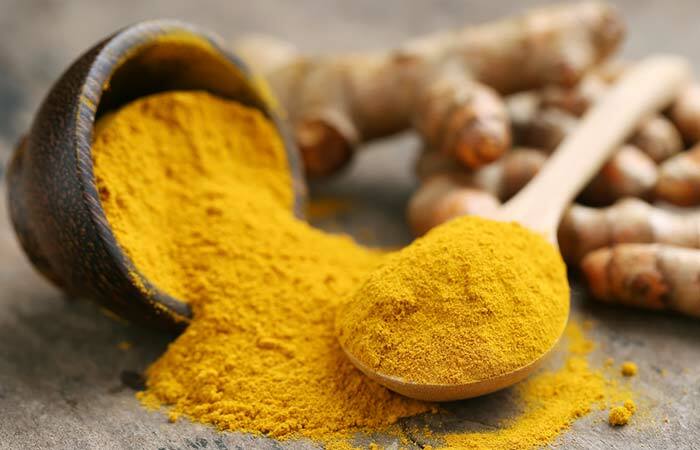 Using turmeric is far better than using any antibiotic products in the mouth. The brush works great to clean the tongue. By gently brushing the tongue from the base to right up to the tip, one can clean the tongue well. One can use a regular brush or use a special brush. 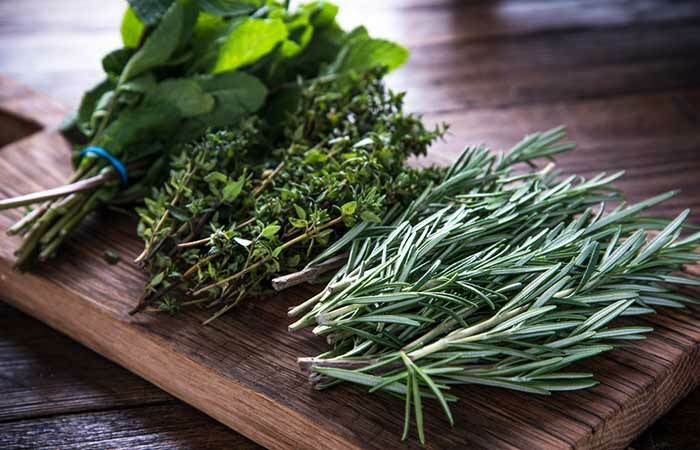 Herbs are known to have medicinal properties and have been used since ages to treat various ailments. Herbs such as chamomile, sage, and mint can be used to detoxify the tongue. Boil a tablespoon of chamomile, sage, mint, and a dash of oak bark. Once this cools down, add a tablespoon of sea salt and use this as a mouthwash. This mouthwash is natural, effective, and easy to make! Smoking a cigarette can damage the tongue tissue. The damage is such that the dead cells begin to accumulate, and the bacteria find a suitable environment to thrive, leading to issues that may unfortunately not remain limited to one’s tongue (3). Smoking can be thrilling, but it certainly is killing, so watch out! 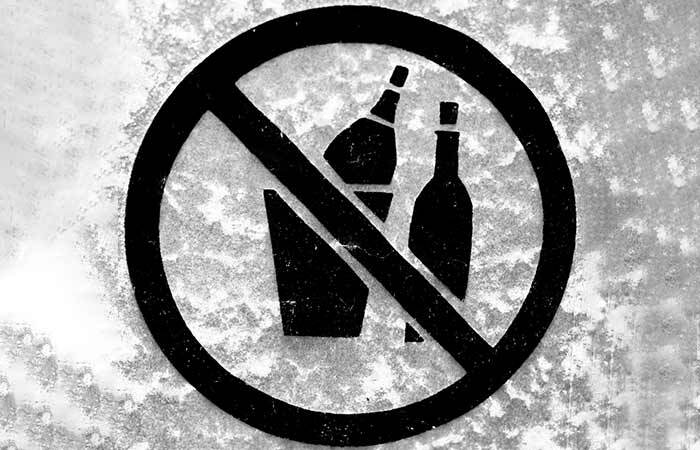 Alcohol causes major damage to the tongue. Besides inflaming the papillae on the tongue, it also severely dehydrates the body. Hence, it is best to keep alcohol at bay. Drinking ample amounts of water is very important. It serves as a remedy for almost anything, ranging from poor bowel movements to weight troubles to dull and lifeless skin and what not. When one doesn’t drink a substantial amount of water, the tongue can become white, which is a clear sign of dehydration. So, keep a tab on your water intake and activity levels, and always make sure to carry a bottle of water wherever you go. 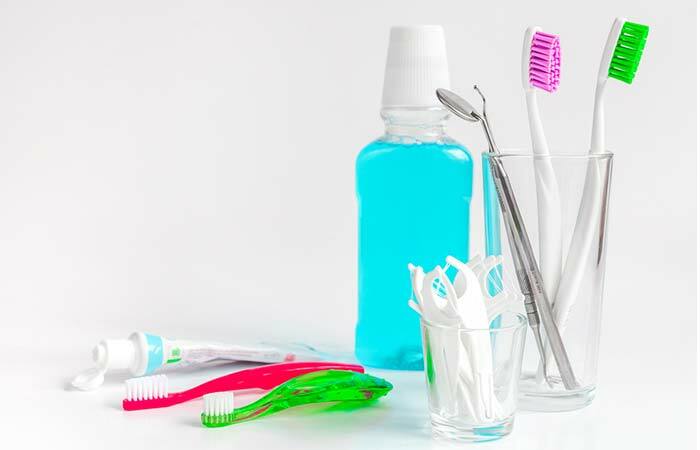 Maintaining good oral hygiene is the best way to keep the bacteria away. Brushing, flossing, and cleaning the tongue is a must. Make it a point to your rinse mouth after every meal. Having a tongue other than the normal light pink one is not a good sign. A coated tongue is not just gross to look at, but it also speaks volumes about underlying health issues. If you have been having tongue troubles, make sure you maintain a healthy oral regime and adopt any of the methods mentioned above to detoxify the tongue. The post 10 Ways To Get Rid Of White Tongue And Make It Healthier appeared first on STYLECRAZE.